Jaguar Land Rover has announced a range of retro-styled infotainment systems for its classic models, following the lead of Porsche. 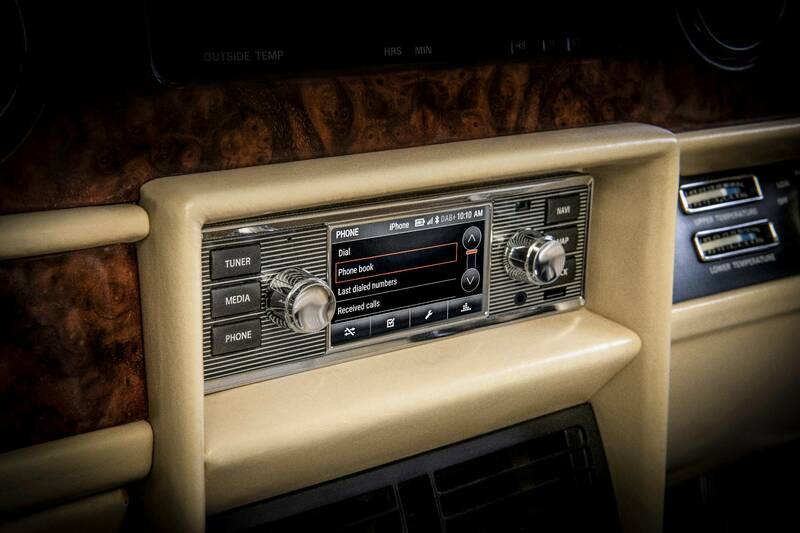 It brings sat-nav and digital music to cars that were designed long before such technology existed. Jump in an E-type or Land Rover with the new infotainment fitted and you’ll be hard pressed to spot it straight away. Unless, of course, you’ve just been in an identical car without it. Needless to say, it’s not a simple case of plonking a Tesla-style tablet where the beautiful dashboard of a classic Jag used to be. What is it and what do you get? 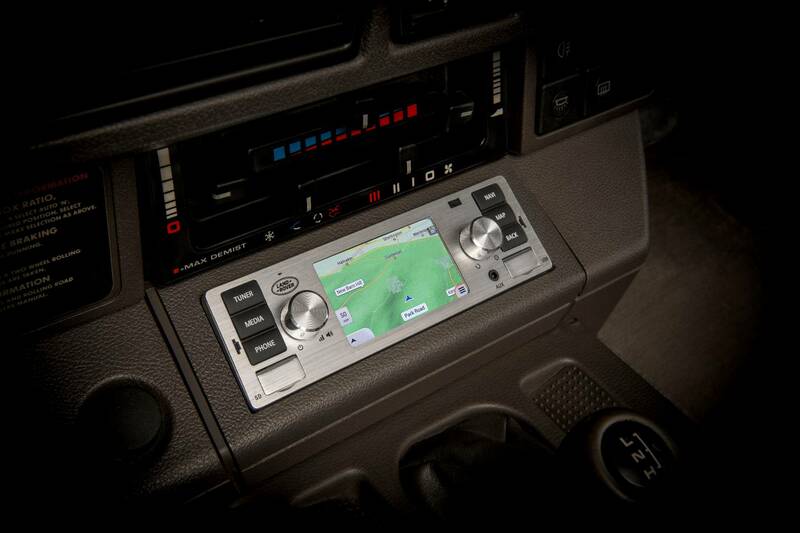 Nestled cleverly in existing dead space on the dashboard, the 3.5-inch high-definition touchscreen is minimally invasive, with analogue – and vintage-style – control knobs either side. It features DAB, FM and AM radio, plus Bluetooth connectivity, sat-nav and smartphone integration. The system costs £1,200 and is available now. As for fitment, the JLR Classic Works in Warwickshire is the obvious go-to. However, if that’s a bit too far, selected retailers will be trained to fit it. 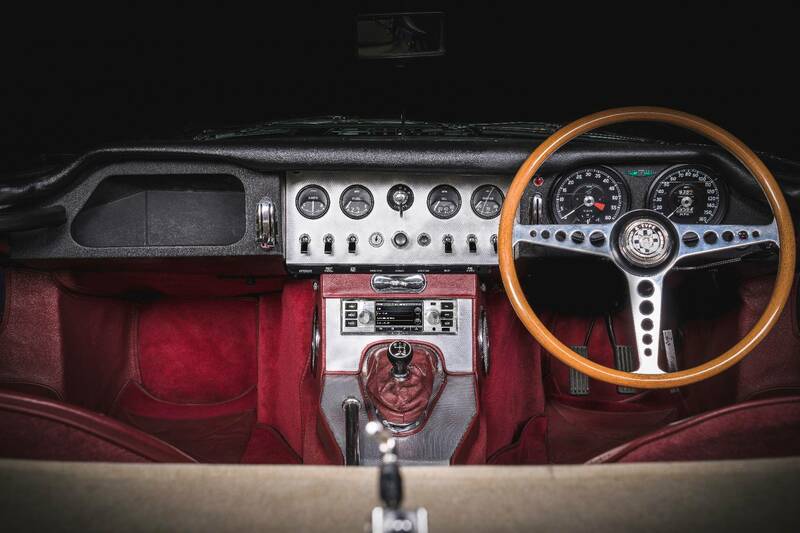 Is it wrong to fit modern tech to classic cars? Much like an old country cottage, the rustic heart-over-head appeal of classic cars is often too much to ignore. When you get inside, though, the lack of modern accoutrements can turn the rose-tinted dream into a bit of a nightmare. That’s not to say that you’d slather your lovely rustic property in solar panels (so to speak).The integration of modernity should be subtle and tasteful, and there’s an inherent appeal in clever, sympathetic installations. This JLR system is just that. Purity and true-to-period presentation are all well and good when bragging in the pub. When it comes to one’s own usage, though, most would be hard pressed to turn down a few modern luxuries. We wouldn’t say no.